The end of the year is coming and you don’t want your student to be caught without a school yearbook! Have your student check the list posted outside of the front office to see if they are already getting a yearbook. If you bought an ASB card at the beginning of the year, your student is on the list. If your student’s name is not on the list, you can purchase one here. We only have a small quantity of extra books to sell and they sell out quickly! This spring, students in California, including our students in Menlo Park, will take Smarter Balanced Assessment (SBAC) online tests. See the attached letter here from Katherine Stratch, Coordinator of Data and Assessment, for more information. Should you have any questions about state testing at Hillview, contact Danielle O’Brien here. At Hillview, SBAC testing, including English Language Arts and Math tests, will take place Monday, May 6 – Thursday, May 9. Eighth-grade students will also take the CAST, the California Science Assessment, in their science classes Wednesday, May 14 – Thursday, May 15. See the attached testing schedule here. School will begin and end at the same time as usual, and students will go to even numbered class periods on Monday and Wednesday and odd numbered class periods on Tuesday and Thursday to create adequate time for testing. If you have WIRED headphones (not bluetooth headphones), bring these each day during testing. Wired headphones will be provided if needed. Help our schools and district better plan and prepare for the upcoming 2019-20 school year. Monday, April 8, all parents of current K-7 grade students will receive their student’s re-enrollment notification email from PowerSchool Registration. Even though your plans for next year may not be finalized, complete the re-enrollment process by April 26. If your plans change, you can still contact our registrar to update your enrollment status at a later date. Note that using PowerSchool before April 26 is a simpler process. After April 26, you will be required to schedule an appointment with the registrar to re-verify your student’s information and submit new proof of residency as part of completing student’s re-enrollment for the 2019-20 school year. For questions about this process, contact the District Registrar here. To avoid exclusion on the first day of school, bring an updated copy of your student’s immunization record showing proof of Tdap administered on/or after the 7th birthday and a second Varicella vaccination to the school office or email a pdf to Nancy McMahon, Health Services Assistant, here. Do not mark or highlight this record. If there is a verified medical condition against vaccination, you are required to provide a written statement from a California licensed doctor (MD or DO). The specific information required in this statement may be found in the FAQ section on the Shots for School website here. For more information about the law and immunizations for school, visit here. Contact, Hillview ASP Coordinator, here with questions. 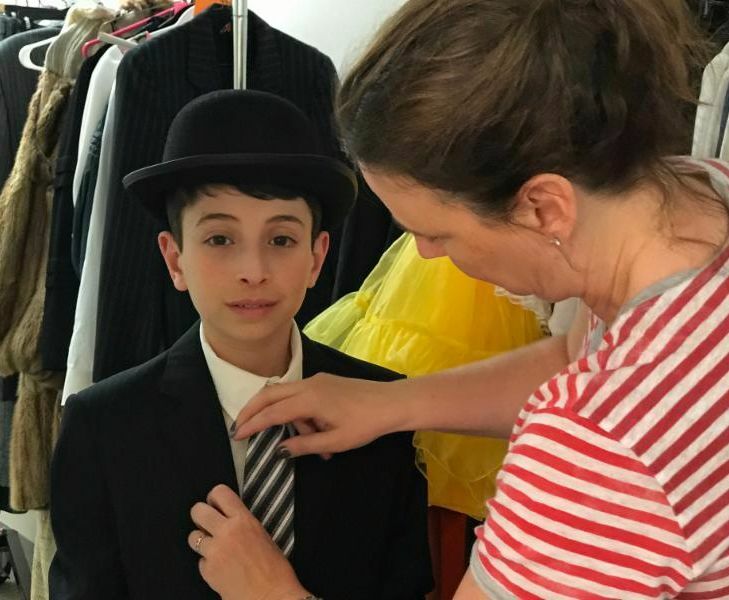 Hillview Drama Presents Mary Poppins! Hillview Orchestra and Band did run-outs for the elementary schools last week. It is so important for the beginning instrumentalists to hear what they can achieve in just three years of study! Congratulations also to the M-A Orchestra, the majority of which are Hillview grads, on their NYC Carnegie Hall performance this past weekend! Truly remarkable! 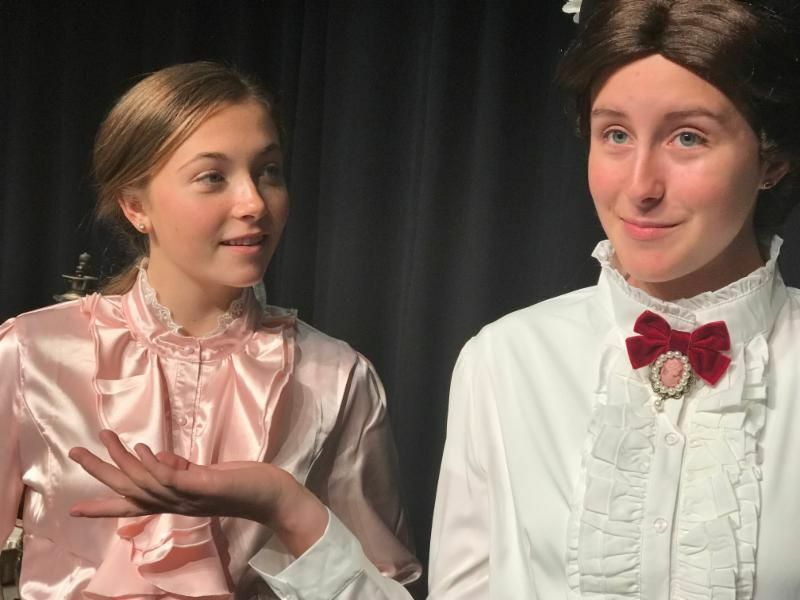 Friday, May 10 performances begin at 3:00 p.m. and Saturday, May 11 performances begin at 8:00 a.m. in rooms G4, G5, and PAC. The festival is free and open to the public. Come and enjoy some of the best choral music in the Bay Area. Hillview will be hosting over 25 choirs from schools throughout the Bay Area, including some from as far away as Yosemite. Volunteers are needed to help in variety of stations: check-in, guides, concessions, check-out, runners, announcers, and door monitors. Adults are especially needed, as well as students. This festival truly takes a village. If you can help, sign up here. Wednesday, May 22 at 6:30 p.m. The group order will be Jazz Bands, Concert Bands, Orchestras. Our own Mr. Vaughan has thoughtfully assembled a quick-reference guide for anyone interested in continuing their musical education over the summer. The information is available here. If you are interested in the “Summer In The City” program at San Jose State, Directors Scholarships are available. Contact Mr. Vaughan here to apply. The talent show is coming Friday, May 17 and Saturday, May 18. Tickets will go on sale in early May. Until then, it’s time to get ready for student auditions! That’s right, just like a theater production at Hillview, students must audition their talent. Students can sign up for an audition spot by filling out the Google Form here. A student must be logged in to their MPCSD e-mail account to view and submit this form. This means that a parent can encourage their student, but it is ultimately the student’s decision. We share this news with you in case you want to give them a friendly ‘nudge’ to showcase their singing, dancing, musical, comedic, or other awesome talent. Direct your questions to Brian Darmanin here. Thursday, April 25, 6:30 p.m.; Friday, April 26, 7:00 p.m.; Saturday, April 27, 2:00 p.m. and 7:00 p.m., Hillview PAC. 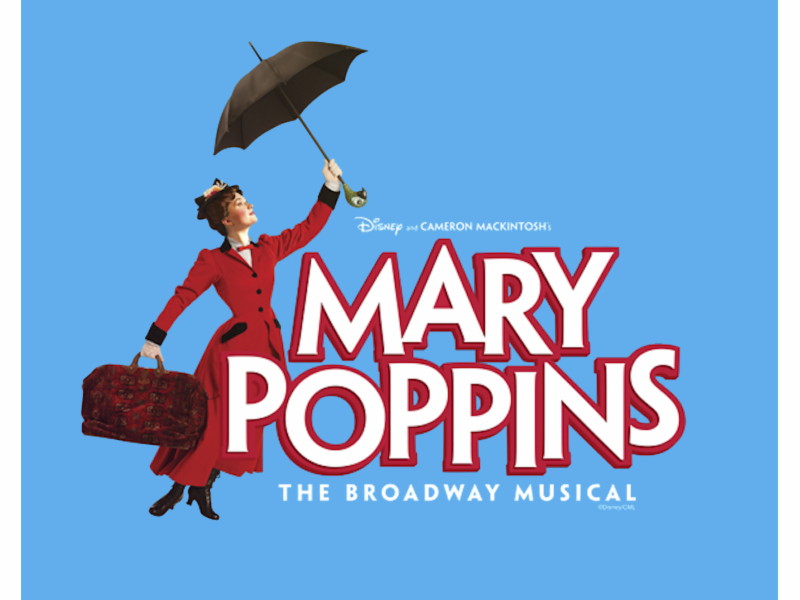 Grab your flying umbrella, your children and get carried away into the world of Mary Poppins! 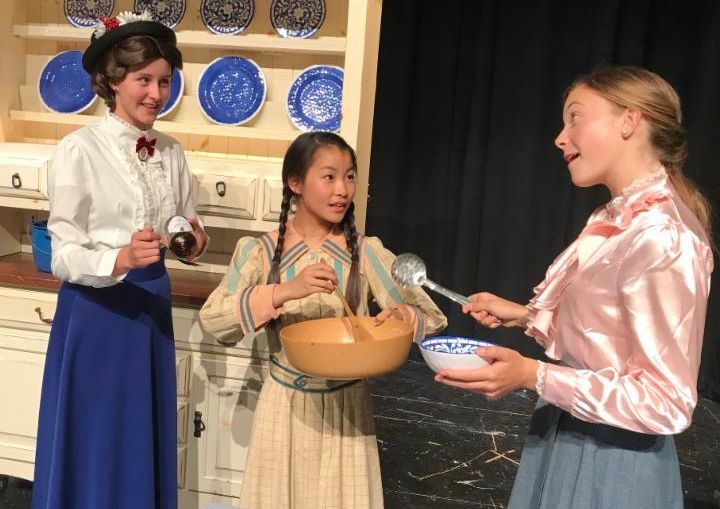 Step in time with Hillview Middle School cast and crew as we celebrate this beloved musical. After a fun few months of finding our inner activist with a guest speaker from We.org, learning about sustainable choices from a compostable toothbrush inventor at Mable.com, and conducting our own “plastic straw alternative” experiment, the Hillview Service Team is moving on from environmental awareness to fighting cancer! 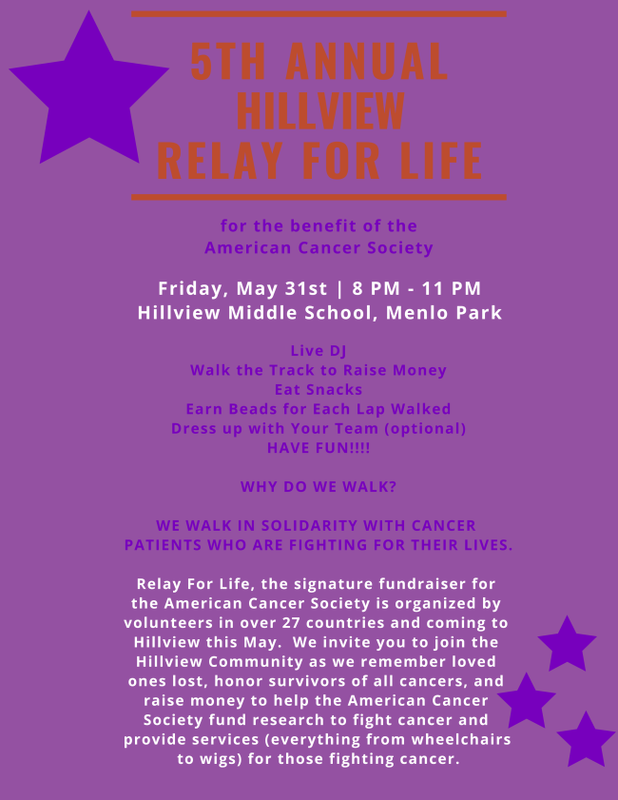 Hillview is kicking off our 5th annual Relay for Life to raise money for the American Cancer Society. Students can still grab sign-up sheets in the office and submit Thursday, April 11 at our kickoff meeting to participate. Flyer here and below. Service Team Needs Your Help! Service Team is a parent-supported lunchtime club, and we cannot run this fun and inspiring event without you. You can learn more and sign up here. Wear appropriate basketball clothing and bring a great attitude and enthusiasm for two hours of fun. Players should come with a thought or two about what you would like to accomplish. Reminder for those who were on the wait list; your registration must be completed in advance. Coach Diepenbrock will not be able to let you participate without registration. Need assistance with the registration process? Email here. Track meet on Wednesday, April 24. We would love to have some help from parents on our meet days with recording times/distance/height for our athletes. Results in each event are recorded each week, so that runners can track their progress during the program. Coach Huck Hunt available here. Come cheer on your Hawks! If you would like to apply for a need-based scholarship, email here. Questions regarding these sports programs, email here. Ready to ROCK This RUN May 19, 9:00 a.m. at Hillview Middle School? 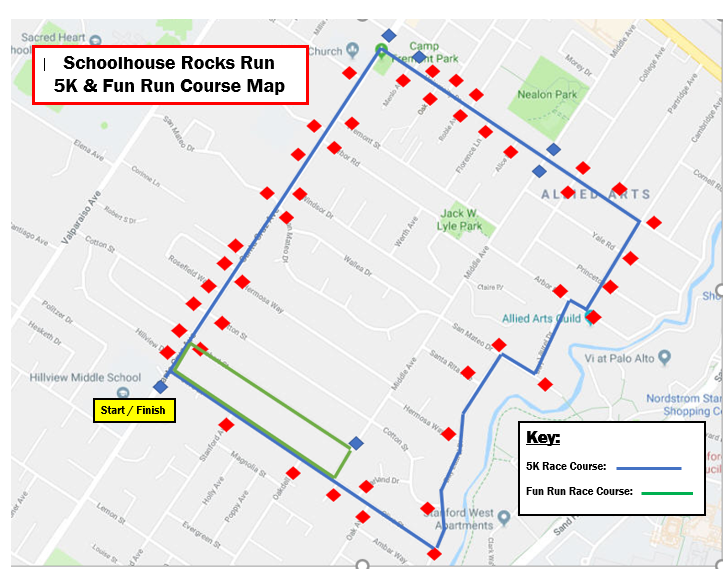 Click here to register for this year’s Schoolhouse Rocks Run today! Note that there will be NO race-day registration. Registration must be completed online by May 14 or at Packet Pick Up on May 17 and 18 at Fleet Feet. Not a runner? There are still lots of ways to ROCK! 1) Volunteer! The success of this event hinges on having a large number of volunteers to ensure the race runs smoothly. If you would like to cheer on our runners and watch the action with a cup of coffee in-hand, click here to sign-up to be a Course Monitor the morning of the race. See map of race course below. 2) Come enjoy the FREE post-race festival! Starts at 10:00 a.m. race day – at Hillview Middle School – where your family can enjoy jumpy houses, climbing wall, Kids’ Zone, Food Trucks, DJ and more! Thanks for making this year’s “It’s For The Kids” Auction a monumental success! On Saturday, March 16, over 400 parents gathered at Hotel Nia to raise funds for our schools and celebrate. And, wow… what a success! For the first time in years, tickets to the Dinner and Party were both sold out in two weeks, despite a 20% increase in dinner seats from last year. The new venue at Hotel Nia was a hit. Guests enjoyed the hip new location, not far from home, with its sleek and modern feel. 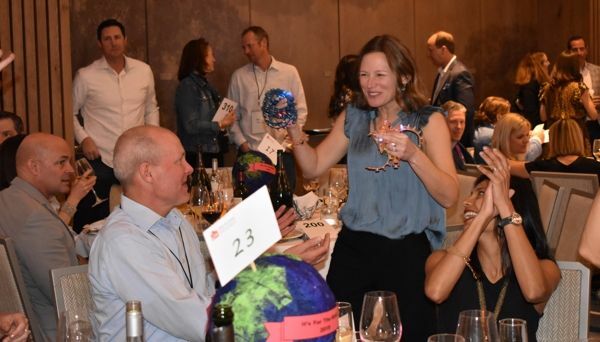 During the event, we shattered last year’s record and raised $118,000 for this year’s Fund-A-Need theme of World Language and Global Citizenship Programs (a 25%+ increase from last year). Through a combination of strong ticket sales, record-breaking event sponsorships, an amazing Live Auction, dozens of paddles raised for fund-a-need donations and hundreds of donated items and parties available for bid via the auction – our community raised an estimated $412,000! The “It’s For The Kids” Auction & Party was a success not only because of the team of dedicated volunteers who organized the event, led by MPAEF board members Alison Poirier, Mary Grundy & Maria Lehmkuhl, but also due to our engaged community of parents and MPCSD staff. Whether you attended the party or purchased an item via the online auction, it took everyone’s participation to ensure our event’s success. Thank You! A Well-Balanced Perspective on College “Fit,” Dr. Denise Pope, Challenge Success, Stanford GSE. Thursday, April 25, 7:00 – 8:30 p.m., Menlo-Atherton High School, M-A PAC. The college admission process can be a source of stress and anxiety for students and parents alike. In this interactive presentation, Dr. Denise Pope will explore strategies to help reduce unnecessary pressure around the college admission process. Register here. Object Empowerment Workshop for Young Girls, Conversation with a Stanford womens’ basketball player, Saturday, April 27, 9:30 – 11:00 a.m., 1845 El Camino Real, Palo Alto. Join us for a conversation with Mikaela Brewer, a guard on the Stanford Womens’ Basketball team. For the past two years, she has been a member of the Canadian National team and is currently a junior at Stanford. Brewer received the All-Academic Honorable Mention from the PAC-12 for her work on the court and in the classroom. She is also an editor for Stanford’s newspaper, The Stanford Daily, writing about character and sports. Register here. Independent Middle and High School Information Fair Sunday, May 5, 3:00 – 5:00 p.m., Cañada College in Redwood City, 4200 Farm Hill Boulevard. Admissions representatives from over 25 schools will have tables set up so that families can learn more about the individual schools. Before the fair at 2:00 p.m., there is a free workshop entitled “Steps to the Independent Day School Admissions Process” presented by Christine Southgate, a member of the Independent Educational Consultants Association (IECA). Contact Christine Southgate here. REF Adopt a Teacher Needs Your Support Make a difference in a teacher’s life and impact students by “adopting” a K-8 teacher in East Palo Alto or eastern Menlo Park for the 2019-20 school year. Provide your adopted teacher with encouraging notes and/or small gifts or appreciation, school supplies, and possibly help with classroom parties. Financial commitment, approximately $500. Time commitment is very flexible. It’s fun and easy to adopt a teacher with a few friends. Sign up with Jazmin Sosa here or contact Sharon Purcell here with questions. Is your child planning to bike to middle school in the Fall? June 8, June 22, and July 28. Wheel Kids, together with the City of Menlo Park, have created a Menlo Park-specific Middle School Bike Skills parent/child class. The weekend morning class has three parts: in class instruction, blacktop practice and an on the road ride. Kids (and their parent – participation required) will learn how to navigate alongside traffic and through busy intersections to get around Menlo Park safely. We can not recommend this class enough! More information about this program and sign up here. San Francisco Girls Chorus School Auditions We offer a program of unparalleled artistic and educational excellence, designed to take girls from an introduction to the art of choral singing through a full course of choral, vocal, and music theory instruction. Choristers perform diverse musical repertoire, learn form expert faculty, collaborate with world-class artists and organizations, and form lifelong friendships. Chorus school auditions for girls ages 6 and up are held by appointment in SF and Berkeley. Successful auditionees will be able to match pitch, sing both head voice and chest voice, have basic English reading comprehension, and have a desire to make music and perform in a collaborative and engaging environment. No auditions are required for girls ages 6 and under to join Prep Chorus. More details here. Join Wizbots for an outrageously fun summer! Wizbots Robotics & Coding Camps revolve around robotics so as to instantly engage and provide campers (ages 8-14) with a fun, applied way to learn Java programming and creative problem-solving. Perfect for both novices and advanced campers, they all learn coding, engineering, and design in a hands-on, collaborative environment. Girls and boys, alike, find Wizbots instantly engaging, social, and fun! Our affordable full and half day camps can be found in Menlo Park (at Encinal Elementary) and around the Bay Area. Learn more and enroll here. French American Summer Camp Your child will love this French American summer camp! It’s a fun multi-activity camp with outdoor/ nature, science/ technology, arts, dance, theater, cooking and sports. More information here. Alpine Strikers FC Tryouts For Fall Soccer Our local competitive soccer club will have tryouts at the beginning of May for team placement for fall competition. All of our teams are coached by experienced professional coaches. Parents are encouraged to volunteer off the field to make the team run smoothly administratively. Information and registration details here. Join AYSO and Play the “Beautiful Game” of Soccer Girls and boys born between January 1, 2001 and January 31, 2015 are invited to play soccer this fall. All skill levels from beginners to advanced players are welcome, everyone plays in AYSO, the world’s biggest soccer club with over 1000 Menlo Park area players! Register here. Click here to see Hillview dates for the year.